This course will provide students with an opportunity to examine the American and Scandinavian criminal justice systems. Beginning with a visit to a maximum security facility in Pennsylvania, students will be given the opportunity to compare and contrast this approach to parallel policies and institutions in Scandinavia. By visiting both Sweden and Norway, participants will experience, first-hand, an alternate practical and theoretical framework for criminal justice, as well as the cultural context necessary to support that system. During their time abroad, participants will tour prisons facilities, including Halden Fengsel, a world-renowned rehabilitative prison in Norway, and a juvenile detention facility in Uppsala, Sweden, as well as other correctional facilities. Students will also meet with criminal justice policy-makers, speak with representatives of the Swedish National Police, interface with university peers from Stockholm University and tour courts and the national parliament. During the course, students will also immerse themselves in Swedish and Norwegian history and culture in order to better understand the divergent cultural norms that support the American and Scandinavian criminal justice systems. 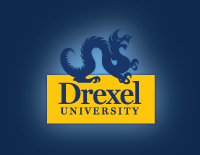 Read Drexel Now and the Norwegian American journal articles showcasing this program! Click here to watch a program video! Students accepted to this program will be automatically registered for CJS 380 Crime and Justice in Scandinavia 3 cr. for Winter term. Students must leave room for the 3 credits in their winter credit load or will have to pay for exceeding the 20 credit maximum. The 3 credits for this program are not optional. There will be 2 mandatory, in-person preparatory class meetings during the fall term, including a 1/2 day field trip to a local prison. *Students who extend their travel independently before or after program dates but must make all arrangements for non-program days. Early Bird Discount! Complete your application by August 1st and receive a $100 refund from your final payment! Visa: US citizens are not required to have a visa for entry to Sweden or Norway. Other nationalities must verify on the Sweden and Norway Embassy Websites.